Hotel Neemaghang 1 2 3 4 5 6 7 8 9 10 11 12 13 14 15 16 17 18 19 Overview1/20 Hotel Neemaghang Hotel Neemaghang Hotel Neemaghang Hotel Neemaghang Hotel Neemaghang Hotel Neemaghang Hotel Neemaghang Hotel Neemaghang Hotel Neemaghang Hotel Neemaghang Hotel Neemaghang Hotel Neemaghang Hotel Neemaghang Hotel Neemaghang Hotel Neemaghang Hotel Neemaghang Hotel Neemaghang Hotel Neemaghang Hotel Neemaghang Hotel Neemaghang BASED ON THE TRIPADVISOR POPULARITY3.5Hotel NeemaghangRating From 62 Review(s)Read All Reviews CHECK-IN FROM 12:00 PM CHECK-OUT UNTIL 12:00 AM OVERVIEW Offering rooms with an internet access, Hotel Neemaghang, a hotel in Gangtok, is situated at a distance of 1 km from SNT Bus Station and 56 km from Nathu La Pass. There are 19 rooms at this 4-storeyed hotel. This hotel in Gangtok offers ensuite bathroom with hot and cold running water supply, wardrobe, balcony and a bottled/drinking water. Travel Counter, Room Service, Breakfast Services, Doctor on Call, Currency Exchange, Airport Transportation, Backup Generator, Family/Child Friendly, Security Guard, Laundry Facilities. Television Room, Cable/Satellite TV, Wakeup Calls, Bottled Water in Room, Air Conditioning Room, House Keeping, Iron/Ironing Board, H/C Water, Room Heater, Toothbrush/Razor on Request. 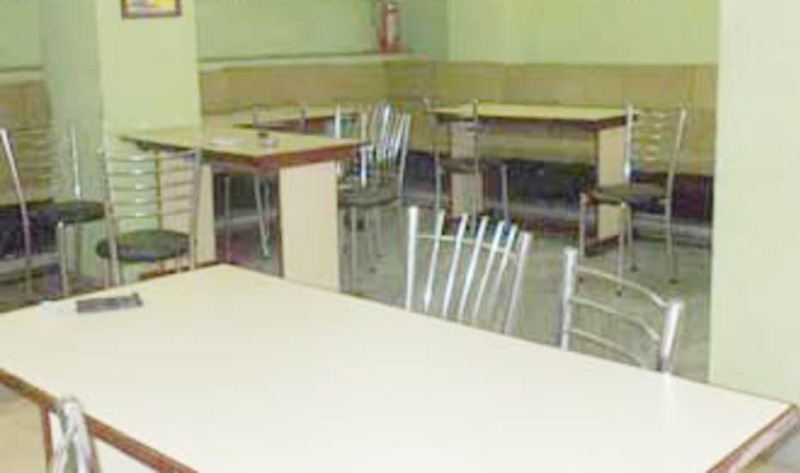 User reviews for "Neemaghang Hotel Gangtok"